Torsten Pilz will be assigned to manage procurement, plant efficiency, working capital, and quality enhancement, company says. Honeywell International Inc. said today it has named a veteran of Space Exploration Technologies Corp. (SpaceX) and Amazon.com Inc. as its chief supply chain officer, continuing the company's expansion from industrial giant to logistics technology and service provider. 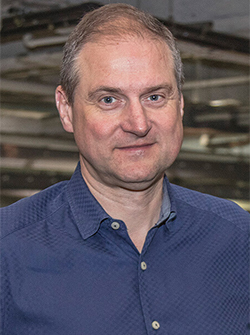 Morris Plains, N.J.-based Honeywell named Torsten Pilz to the newly created position, which includes responsibilities for the integrated supply chain, including procurement, as well as improving plant efficiency, working capital, and quality enhancement for customers, the company said. Pilz comes to Honeywell with two decades of operations and supply chain experience, including stints as vice president of supply chain for SpaceX and vice president of worldwide operations for Amazon. As a senior vice president and chief supply chain officer at Honeywell, he will report to the company's chairman and CEO, Darius Adamczyk. "The integrated supply chain is a critical enabling factor for Honeywell's continued growth," Adamczyk said in a statement. "[Pilz] is the right person to help Honeywell continue our transformation into a premier software-industrial company by simplifying our manufacturing footprint and enhancing our ability to execute with speed and precision across our operations." The move is Honeywell's latest effort to grow its footprint in the logistics industry, after acquiring material handling automation provider Intelligrated Systems Inc. in 2016 for $1.5 billion. Since then, Honeywell has added to its menu of products for retail and supply chain operations by rolling out products such as rugged handheld computers, a shipment tracking solution for high-value and perishable goods, a package-dimensioning scanner, a voice-directed mobile headset device, and smartphone software for electronic logging devices (ELDs). Feedback: What did you think of this article? We'd like to hear from you. DC VELOCITY is committed to accuracy and clarity in the delivery of important and useful logistics and supply chain news and information. If you find anything in DC VELOCITY you feel is inaccurate or warrants further explanation, please ?Subject=Feedback - : Honeywell names SpaceX and Amazon veteran as chief supply chain officer">contact Chief Editor David Maloney. All comments are eligible for publication in the letters section of DC VELOCITY magazine. Please include you name and the name of the company or organization your work for.